So a few weekends ago, myself and a bunch of my closest friends headed down to Cornwall for a long weekend, to escape the city and to get some time away to enjoy ourselves. I always think it's so important to escape London from time to time, making sure I can switch off and get time with my friends and family away from the business and manic lifestyle I'm used to. We were gifted a stay with Together Travel Co for 4 days and hit the road Friday lunchtime to make the most out of a long weekend, driving down from London with a fully loaded playlist to maximise any potential carpool karaoke session. With six of us going on this trip (I've linked everyones instagrams at the bottom of this post), we hired a mini van so we could all travel together and it also meant that we'd have a way of getting around when we arrived. We were staying in Natural Retreats Trewhiddle, which is around 20 minutes from Truro, a more popular tourist destination. We were given one of their four bedroom villa to stay in, which was kitted out with everything we needed for our stay - including a welcome hamper full of treats for breakfast the next day, wine and a few local items to make our stay even more homely. 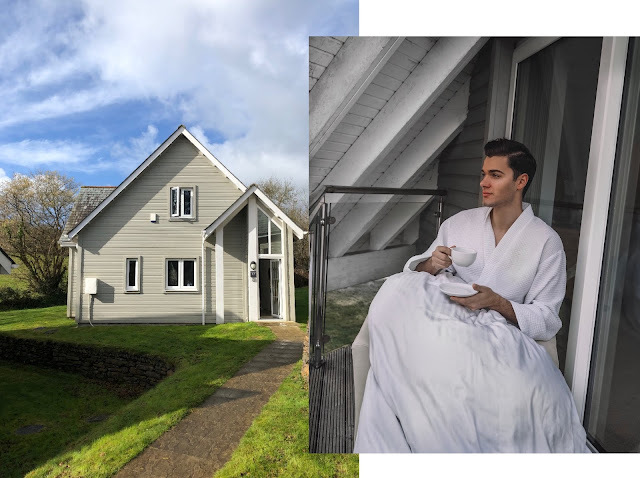 They also have a few other destinations throughout the UK so I definitely recommend checking out their properties if you're looking for a little staycation destination. After a late night arrival on Friday, we decided to stay in for the evening with a few glasses of wine and came up with a little plan for the next few days. We knew we wanted to check out The Eden Project, as it's both a great photo spot and attraction so this was at the front of out list for Saturday morning (after one of Luke Catleugh's amazing breakfasts). I'd been before but this was everyone else first time so they were sure what to expect. If you're in to plants or just want to go and appreciate the sights and sheer size of the bio-domes, I definitely think this should be on your list if you're in the area. Tickets are on the slightly pricer side of things, however you can claim an annual pass for a small upgrade fee, meaning you can return as many times as you like over the year. We also somehow managed to plan our visit on the same day as the World Pasty Championships, which was an added bonus! We are all big foodies so welcome any opportunity to try out new dishes with open arms. We were also in cornwall, so having a pasty is a given right? 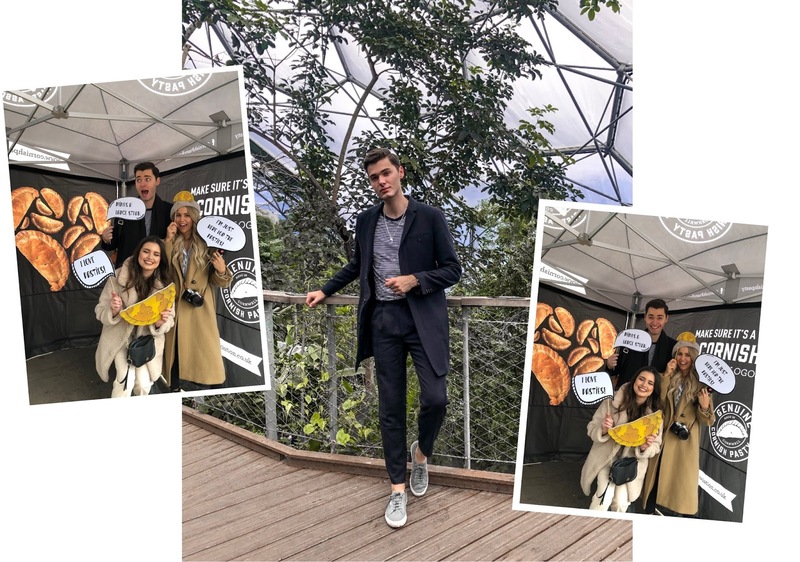 There were so many random events going on for this at the Eden Project, including photo booths, a giant pasty walking around and someone on a stage rapping to various songs, altering the lyrics to include the words cornwall or pasty (I'll take you to the pasty-shop had to be my favourite). One we finished up here, we decided to head over the to the small fishing town of Charlestown, to grab a few shots for Instagram. Typically, the weather wasn't amazing during our stay so we didn't get to enjoy as much of the area as we may have liked to. The next day was always meant to be spent at the beach, however the heavens opened and we had to take a rain check. Since it was Sunday, we wanted to find a quaint countryside pub for a roast dinner and came across The Thomas Daniel in Truro. It was honestly one of the best roast dinners I have ever had and at a very good price. After lunch, we took a walk around the town and checked out the Cathedral as well as a few of the shops. Cornwall is known for it's cream teas and beautiful coastal towns, so we made sure to fit both of these in during our time. For our final day we made sure to make the most of the sun, and headed to the nearest beach for a chill morning and to check out the cornish coastline before heading back to London. We had the whole bay to ourselves and managed to get some brilliant insta shots whilst we were there also! I guess, with a weekend like this, it's all about making your own plans and going at your own pace - especially when you want to escape the busy city. We all had such a great time, and will definitely be heading back soon!